​Warralong Park Stud is set on 162 acres of gently rolling hills at Innisplain, 22 kilometres from Beaudesert in the Scenic Rim. Located in the heart of Queensland thoroughbred breeding country, we are in close proximity to large operations such as Glenlogan Park, Telemon Thoroughbreds (previously Sun Stud and Eliza Park International) and Royston Stud. We were previously known as Bellagio Spelling & Agistment located on the Gold Coast. 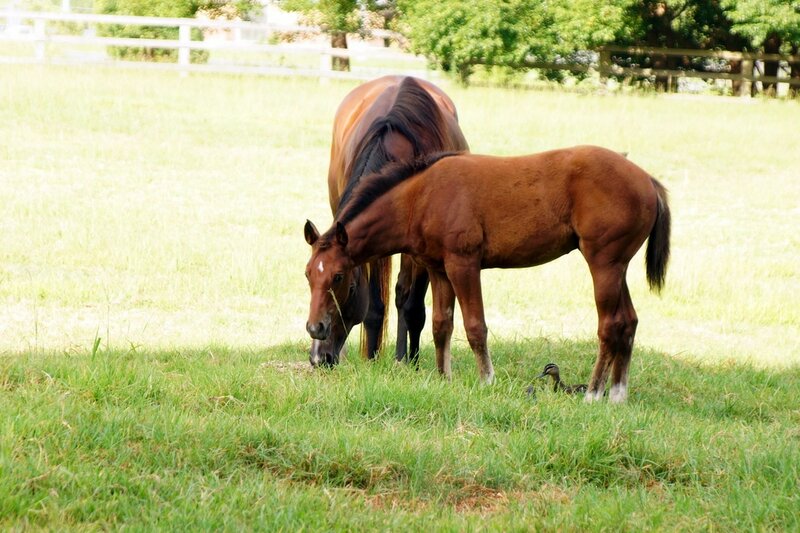 We specialise in Broodmare care and breeding advice, foaling down, foal handling and education, preparation for sales of Yearlings, Weanlings and Broodmares. With some 30 plus years' experience in the Thoroughbred Industry, here at Warralong Park your animals will​ receive only the very best possible care. Courgette (Charge Forward x Our Farm Girl) bred and raised at Bellagio Lodge. Sold by Toolooganvale Broodmare Farm at Melbourne Premier Sale 2009. Dam of She Will Reign- Golden Slipper winner 2017. Hands Off (Trusting x The General's Niece) filly, born & bred at Warralong Park, wins her maiden at Goulburn over 1600m on 24/2/18 after 3 starts. Purchased by Matthew Smith at MM Ready to Run Sale 2016. Congratulations to all connections. ​Noondie (Flying Spur x Creatrix) as a foal, born and raised at Bellagio Lodge - sold by Toolooganvale Broodmare Farm at Melbourne Premier Sale 2010 for $48,000.00. Noondie's first foal Booker (by Written Tycoon) wins Group II Schweppes Thousand Guineas Prelude (1400m) at Caulfield 1/10/17. Bred at Bellagio Lodge and sold for $85,000.00 at the Magic Millions National Weanling Sale 2012. Courgette (Charge Forward x Our Farm Girl) Dam of She Will Reign - 2017 Golden Slipper Winner - sells for $2.1M at Magic Millions 2018 National Broodmare Sale. Amazing result for connections. If we had only had a crystal ball when we raced her with Gerald Ryan a few years ago. Soul Serenade (Charge Forward x All About Soul) in foal to Pierro, sold on Account of Toolooganvale Farm as Agents at the recent Chairman's Sale at Riverside Stables for $120K. Closely related to Sunlight (Zoustar x Solar Charged) - 3rd placegetter in the 2018 Golden Slipper. Our owners were totally over the moon with the result . ​Kuching Half sister to Courgette, by Tale of the Cat - bred, raised and sold by Bellagio Lodge for $42,000.00 at 2008 Magic Millions Yearling Sale. Being offered by Rothwell Park as Agent - Lot 735 at Magic Millions National Broodmare Sale 2017. ​any enquiries regarding our services.